we only partner with farmers that are as meticulous as we are. we carefully select each farm to ensure the perfect blend of product & process. When it comes to great coffee, it’s good to be picky. 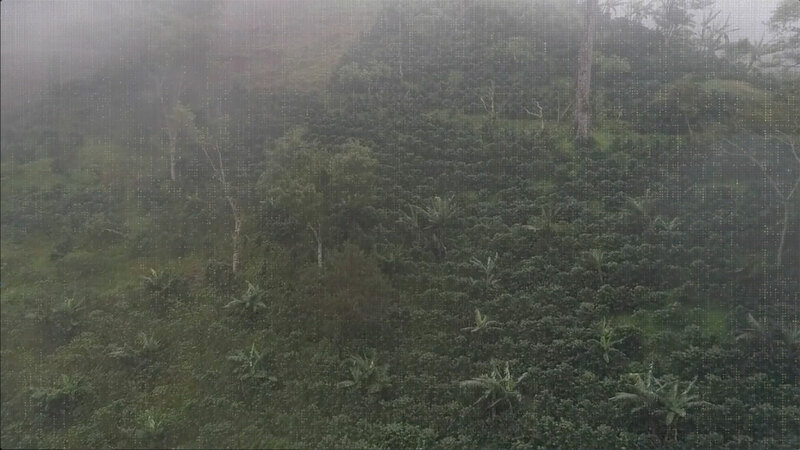 We only partner with farmers that are as committed to exceptional coffee as we are. Our master roaster, Shawn Hamilton personally selects our sourcing partner farms, ensuring that our green coffee beans come from only the most distinctive and meticulously maintained farms. All green coffee has unique attributes that contribute to each flavor profile, which is why our painstaking evaluation of the source beans is so important. Your taste buds will agree. Every roast is carefully planned from beginning to end. Once a farm is selected, our master roaster test roasts a sample of the green beans and takes them through the cupping process. We then determine exactly what roast level the coffee can handle without becoming under or overdeveloped in order to ensure optimal flavor and balance. When the cupping profile is finalized, the beans are carefully roasted using Italian brick-lined roasters that provide radiant heat and slow roasting to lock in the coffee’s ideal flavors and aromas. After the coffee has reached its optimal roast, we use the natural process of air cooling, releasing beans into cooling trays where air moves through to cool them down gently, never dousing them with water. This process takes longer, but it’s a key step in creating the freshest and smoothest cup of coffee. At Java City, sustainability is more than the certifications on our beans—it drives everything we do. We maximize energy savings, we prioritize recycled or post-consumer materials, we minimize waste. Skylights naturally brighten our facility. Thousands of burlap coffee bags are donated to community zoos for animal bedding and to local schools for class projects every year. Our coffee chaff (the skin that comes off of the coffee during roasting) is given to local farms for feed and mulch. We donate roasted coffee to local nonprofits. But our greatest pride is the impact our purchasing makes in coffee growing communities. Our partnership with World Coffee Research is securing a sustainable supply of coffee for the future. At Java City, we know what makes a good cup of coffee. We also know that tastes change, weather patterns affect crops and new technology is always emerging. We are constantly watching for new coffee trends, developing new ways to enjoy coffee, and evaluating research (as well as conducting our own) to make sure our coffee is the best it can be while keeping pace with the lifestyle and needs of our coffee loving clients. This isn’t just a job, it’s a lifestyle. 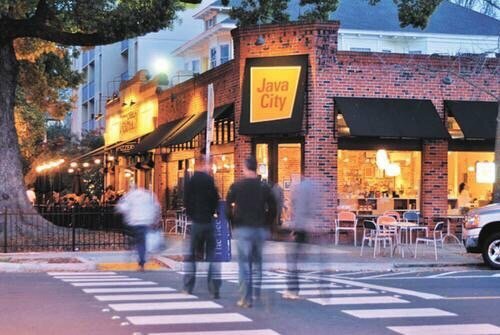 The Java City story began in 1985 when we were roasting coffee in a small brick building in Sacramento, California. As word spread about our uncommonly smooth coffee, it became clear that we needed to add a signature coffeehouse to showcase our popular coffees. From that point on, the brick building in Sacramento’s Midtown District became both a roasting facility and a bustling café, filled with locals at all hours of the day. Though we have grown considerably since our beginnings, we continue to hand roast all of our beans using the same techniques that made our coffee famous all those years ago. The only difference today is the number of places you can find our coffee throughout the country. It’s now served at over 2,000 locations nationwide, making us one of the largest specialty coffee roasters and wholesalers. We specialize in retail, foodservice and hospitality environments, providing the expertise and support needed to run a successful operation. The art of coffee roasting can’t be replicated with computer programming. It takes years of apprenticeship to become a Java City roaster. Each roaster has been rigorously trained, and is capable of responding to ever so slight environmental changes that impact quality. Armed with just a thermometer and a timer, and many years of coffee wisdom, our roasters consistently create the world’s smoothest coffee. You want to talk about coffee? So does our customer care team! Call us with your orders and all of your coffee questions. If we don’t know the answer, we’ll find someone who does. There’s no such thing as a coffee fairy, but this team makes sure your orders are packed and delivered within days of roasting. They also have a 99.97% accuracy rate! We think that makes them pretty magical. Whether you’re sipping your coffee in the California sunshine, or warming up after a Massachusetts blizzard, this team is at your service for everything coffee. Our trainers, brand representatives, and account managers are your first point of contact for making your coffee better. This team is built of experienced baristas and café managers who know the ins-and-outs of your operations. They are located throughout the country, tamping Espresso Tempo and bringing the taste of Midtown to you. These are the guys (and gals) who make mechanics look easy. Grinder not working? No problem. Calibration needed? Child’s play. Coffee brewer overflowing? We’ve got you covered. They take no offense at being called bean counters. This team is here to answer your billing questions and keep your subscriptions up to date. We believe that the coffee experience should make everyday life a little richer. A good cup of coffee can be the catalyst for a perfect day. It’s our goal to create an unforgettable coffee experience, every time. The Java City team is a blend of perfectionist roasters, an experienced production crew and a friendly sales and support department. Much like our coffee, we have procured the very best team members from around the world to create gratifying relationships that keep our customers coming back for more.